An updated NOAA website lets everyone from reporters to city planners track local historical storm activity, review specific storm tracks and obtain information about a particular storm’s landfall. 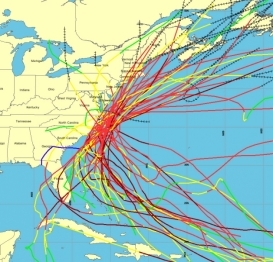 NOAA’s Historical Hurricane Tracks website and mapping application generates customized, downloadable maps based on more than 150 years of Atlantic hurricane data. For the first time, scientists are using advanced technology and an innovative vessel to study, image, and map the unexplored offshore Northern San Andreas Fault from north of San Francisco to its termination at the junction of three tectonic plates off Mendocino, California. The team includes scientists from NOAA’s National Marine Fisheries Service, Oregon State University, the California Seafloor Mapping Program, the U.S. Geological Survey and Woods Hole Oceanographic Institution. The expedition which concludes Sunday is sponsored by NOAA’s Office of Ocean Exploration and Research. While the fault on land is obscured by erosion, vegetation and urbanization in many places, scientists expect the subsea portion of the fault to include deep rifts and high walls, along with areas supporting animal life. 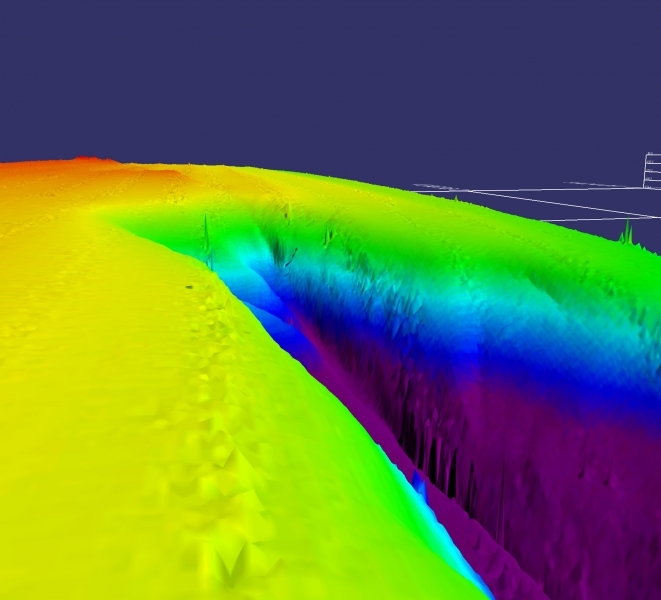 The expedition team is using high-resolution sonar mapping, subsurface seismic data and imaging with digital cameras for the first-ever three-dimensional bathymetric-structural map that will model the undersea Northern San Andreas Fault and its structure. Little is known about the offshore fault due to perennial bad weather that has limited scientific investigations. 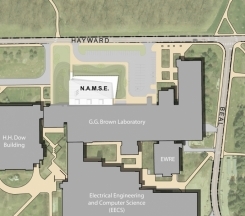 The U.S. Commerce Department’s National Institute of Standards and Technology (NIST) today awarded a total of $50 million in grants to five institutions to support the construction of new scientific research facilities that will explore everything from nanometer-scale electronics and “green” buildings to microbe ecosystems in the oceans. 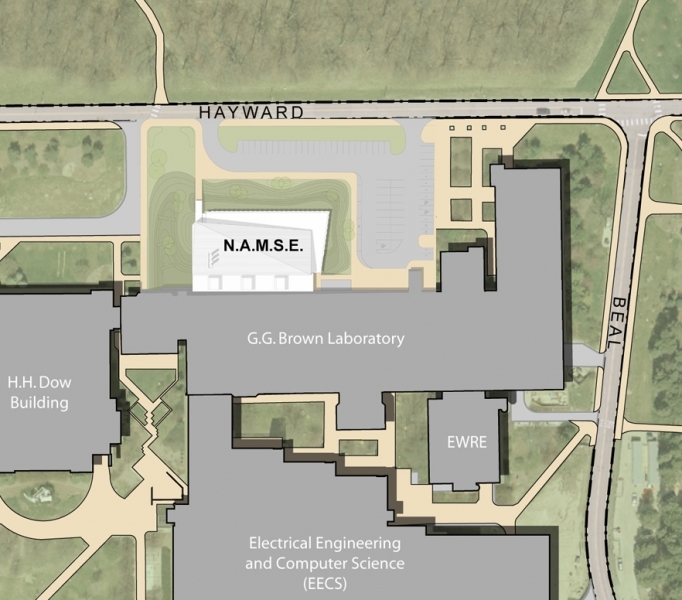 The five projects receiving funding under the NIST Construction Grant Program (NCGP) will contribute to almost $133 million in new laboratory construction projects, according to grantees. 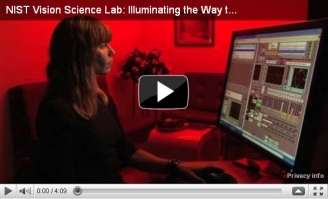 Light-emitting diodes, or LEDs, have become popular with backpackers and cyclists who mount them on headbands for a reliable, hands-free source of illumination. Now, a new lab at Commerce's National Institute of Standards and Technology (NIST) is helping to bring these tiny but brilliant devices into your home, to help save both energy costs and the environment. Today U.S. Commerce Secretary Gary Locke announced more than $1.7 million in grants to support projects that increase U.S. exports, create jobs and strengthen our global competitive edge. The grants will be awarded to five non-profit industry organizations and are expected to generate $265 million in U.S. exports. These awards are part of Commerce’s Market Development Cooperator Program (MDCP), which includes financial and technical assistance from the International Trade Administration to support business plans that help increase exports and U.S. competitiveness within certain industries. Projects receiving funding include efforts to increase exports among small manufacturers of water treatment equipment and independent film makers. These cooperative agreements help to further President Obama’s National Export Initiative, which aims to double U.S. exports within the next five years in support of several million U.S. jobs. 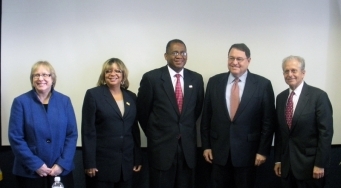 See the five recipients of the 2010 Market Development Cooperator Program awards. Speaking today at the 5th annual Online Trust and Cybersecurity Forum at Georgetown Univeristy, Secretary Locke announced the official launch of an initiative aimed at preserving the global, free flow of information online to ensure that the Internet remains open for commercial opportunity and innovation. This initiative coincides with President Obama's message today in his speech at the U.N. General Assembly in which he reinforced America's commitment to "a free and open Internet." The Commerce Department is seeking public comment on the extent to which evolving policies from governments around the world may be restricting information on the Internet and inhibiting innovation and economic growth for U.S. companies. The request will seek input from all stakeholders to better understand the types of emerging government policies that restrict online information, how they are adopted, and what impact they have on innovation, job creation, economic development, global trade and investment. 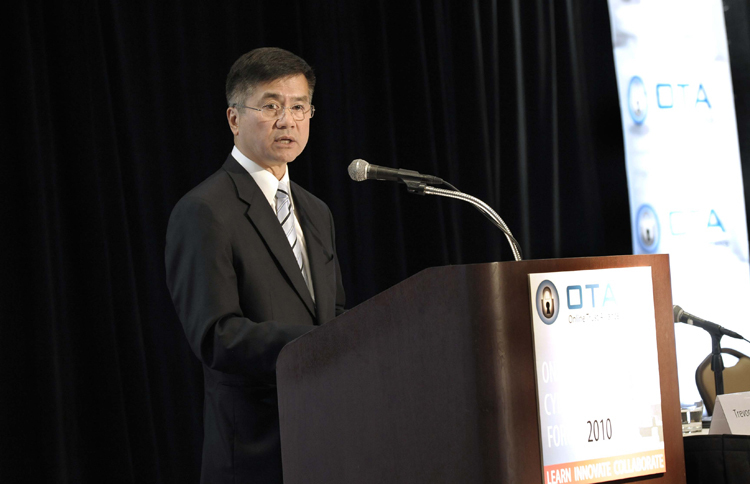 U.S. Commerce Secretary Gary Locke today announced the winners of the i6 Challenge, a new $12 million innovation competition led by the U.S. Department of Commerce’s Economic Development Administration (EDA), in partnership with the National Institutes of Health (NIH) and the National Science Foundation (NSF). The i6 Challenge seeks to identify and support the nation’s best ideas for technology commercialization and entrepreneurship in six different regions of the country. The winning team from each region will receive $1 million from EDA to support their project and may be eligible for additional awards from NIH and NSF. The Commerce Department’s Minority Business Development Agency and U.S. Census Bureau today announced that the number of Hispanic-owned firms increased by nearly 44 percent between 2002 and 2007 from 1.6 million businesses to 2.3 million, according to new data released today from the U.S. Census Bureau’s 2007 Survey of Business Owners. Employment at Hispanic-owned firms also grew by 26 percent from 1.5 million to 1.9 million workers, a growth rate significantly higher than that of non-minority-owned firms. Hispanic-owned businesses generated $345.2 billion in sales in 2007, up 55.5 percent compared with 2002. And of all Hispanic-owned firms with employees, approximately 44,000 have revenues of more than $1 million, representing an increase of more than 51 percent over 2002. While these are welcome improvements for Hispanic-owned businesses and the minority business community, there is still significant room for growth. Learn how the Minority Business Development Agency can help you grow your minority business. As world leaders prepare to meet in New York City for the 2010 Annual Meeting of the Clinton Global Initiative to discuss ways to solve the critical challenges that face our world, the Commerce Department’s U.S. Patent and Trademark Office has launched an effort to incentivize the creation and distribution of technologies that address humanitarian needs both domestically and internationally. The USPTO is seeking comments on a proposed pilot program that would allow patent holders who make their technology available for humanitarian purposes to be eligible for a voucher entitling them to an accelerated re-examination of a patent.Because patents under re-examination are often among the most commercially valuable patents, fast-track re-examination of a patent allows a patent owner to affirm the validity of his or her patent more quickly and less expensively. This voucher could then be used on any patent owned by the patent holder or transferred on the open market. 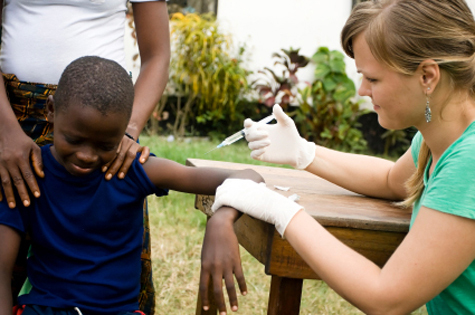 Technologies that address humanitarian needs among impoverished populations, such as treatments for tropical diseases, diagnostic medical tools, crops with higher yields or better nutritional value, and treatments for sanitation or clean water, would be considered eligible for the program. Participants could qualify for the proposed pilot in two ways: by making their patented technologies available to impoverished populations for humanitarian use, or by making their patented technologies available to researchers who are developing technologies that address humanitarian needs. Learn more about the pilot project and offer your comments (PDF). 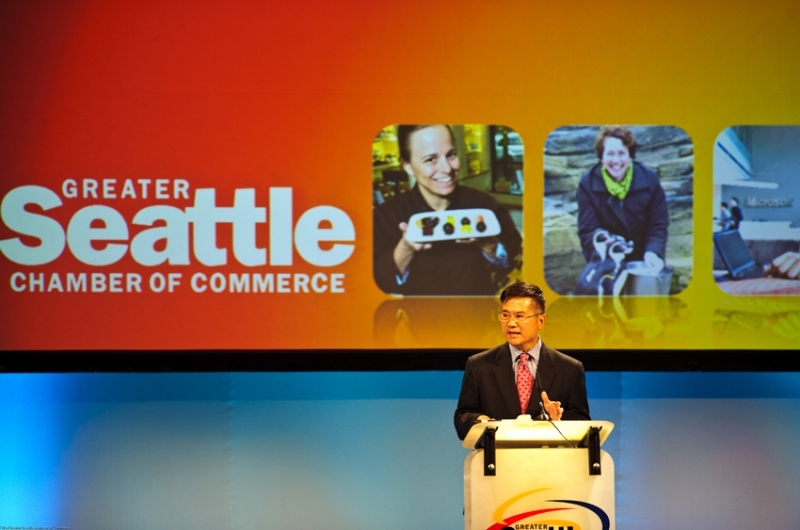 U.S. Commerce Secretary Gary Locke was in Seattle today speaking with small- and medium-sized businesses about exports and the economy. 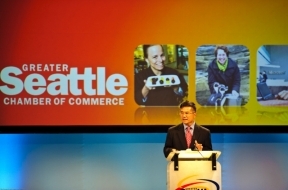 Afterwards he delivered the keynote address at the annual meeting of the Greater Seattle Chamber of Commerce. 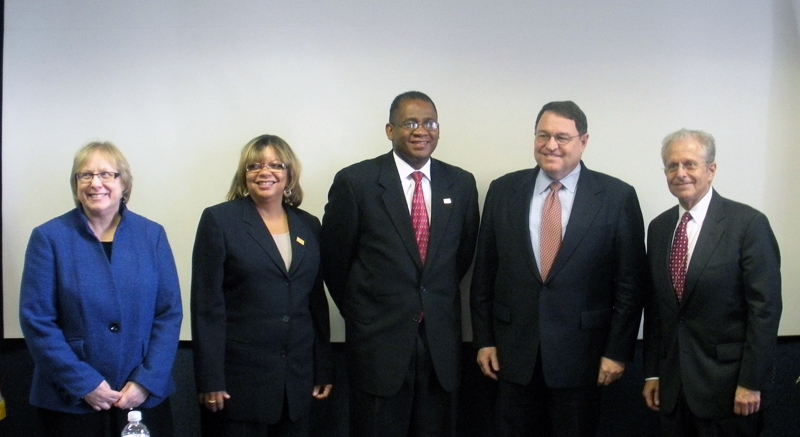 Secretary Locke discussed the progress made and the next steps for President Obama's National Export Initiative (NEI). He also addressed how it is helping to lay the groundwork for sustainable economic growth in Washington state, the nation's most trade-dependent state, and across the country. His remarks today are only one day after he and his colleagues on the Export Promotion Cabinet delivered a detailed report to the president laying out recommendations for how to double U.S. exports. “Yesterday, at the president’s newly-constituted Export Council – chaired by Jim McNerny, CEO of Boeing – we announced that our renewed focus on trade promotion has contributed to an 18 percent increase in U.S. exports so far in 2010 over the same period last year. U.S. exports of manufactured goods so far in 2010 have risen by 22 percent. U.S. agricultural exports this year are projected to be the second-highest amount ever, with a trade surplus of $30 billion. These increases are having an impact on the economy: Exports contributed to GDP growth for just as much as domestic consumption in each of the four quarters of recovery." 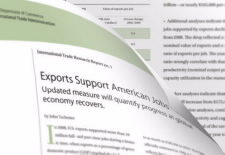 Today the White House released a report to the president on the National Export Initiative (NEI). It detailed the way the Export Promotion Cabinet plans to meet the president’s goal of doubling U.S. exports in five years to support millions of new jobs. Since the president announced the NEI, the Department of Commerce’s Advocacy Center has assisted American companies competing for export opportunities, supporting $11.8 billion in U.S. exports and an estimated 70,000 jobs. To date, the Commerce Department has coordinated 20 trade missions with over 250 U.S. companies to 25 countries. It is National Historically Black Colleges and Universities Week, a time to celebrate educational achievement and opportunity. The Commerce Department’s NTIA today announced a Recovery Act grant to an HBCU, North Carolina Central University’s School of Law, to upgrade broadband service while expanding access to its legal education programs. The nearly $2 million investment will also benefit four partner HBCUs in the state -- Elizabeth City State University, Winston-Salem State University, North Carolina A&T University, and Fayetteville State University. 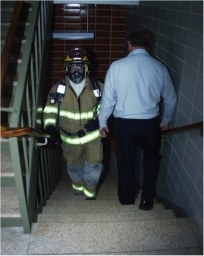 Researchers at Commerce's National Institute of Standards and Technology (NIST) are stepping up the pace for designing safer building evacuations by releasing large, numerical data sets that track the movement of people on stairs during high-rise building evacuation drills. 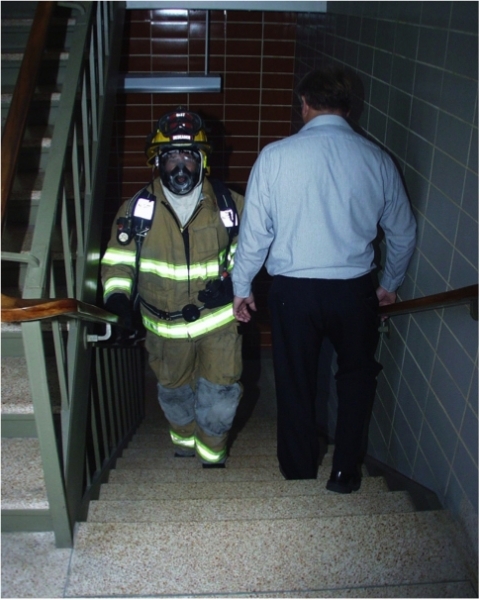 The data sets will ensure that architects, engineers, emergency planners and others involved in building design have a strong technical basis for safer, more cost-effective building evacuations. 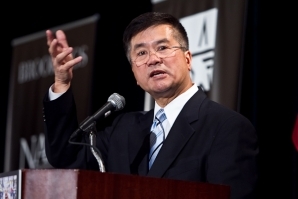 U.S. Commerce Secretary Gary Locke today announced 35 American Recovery and Reinvestment Act investments to help bridge the technological divide, boost economic growth, create jobs, and improve education and healthcare across the country. The investments, totaling $482.4 million in grants, will fund projects that pave the way to bring enhanced high-speed Internet access to millions of households and businesses and link thousands of schools, hospitals, libraries, and public safety offices to the information superhighway. U.S. Commerce Secretary Gary Locke - joined by Senator Mark Warner and Export-Import Bank President Fred P. Hochberg - today delivered the keynote address at the Virginia Summit on Export Opportunities in Richmond. Locke highlighted President Obama's National Export Initiative (NEI) and gave an update on the NEI, and its goal of doubling exports and supporting several million jobs over the next five years. The Summit focused on ways in which the federal government can coordinate with local government and private-sector partners to promote trade and export opportunities in Virginia. In 2009, Virginia companies exported more than $15 billion of merchandise overseas, up from $2.8 billion in 2005. 18.1 percent of manufacturing jobs in Virginia depend on exports. U.S. Commerce Secretary Gary Locke today appointed 11 travel and tourism industry leaders to serve on the Corporation for Travel Promotion (CTP) Board of Directors. The CTP is a new non-profit corporation that will promote travel to the United States and communicate and improve the entry process so that visitors want to return. The Corporation will help enhance the competitiveness of an already robust industry, which supports more than 8 million American jobs and is a critical source of export strength. Many other nations operate ministries of tourism that actively market their countries as tourist destinations around the world. The Corporation will help get America into the game and encourage people across the globe to travel to the U.S. The CTP and its efforts to promote America as a travel destination will be funded by private donations and matching funds from a new fee collected from foreign travelers to the U.S. The contiguous United States had its fourth-warmest summer (June-August) on record, according to the latest NOAA State of the Climate report issued today. The report also showed the August average temperature was 75.0 degrees F, which is 2.2 degrees F above the long-term (1901-2000) average. Last month’s average precipitation was 2.41 inches, 0.19 inch below the 1901-2000 average. 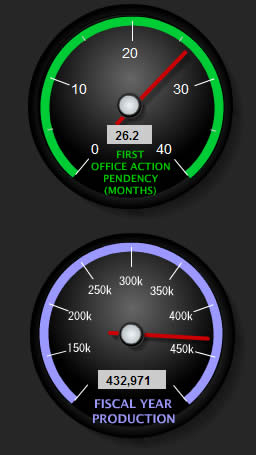 Commerce's United States Patent and Trademark Office (USPTO) this week launched a beta version of the “USPTO Data Visualization Center.” This tool will give the public access to important data covering USPTO patent operations in a convenient dashboard format. 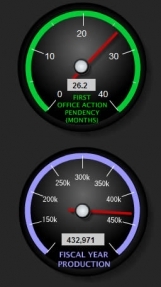 The patents dashboard provides more refined pendency information than was previously available, as well as other critical indicators such as the number of applications in the backlog, production, staffing and more. This information will help the entire intellectual property (IP) community to better understand the USPTO’s processes, and enable applicants to make more informed decisions about their applications, especially as the USPTO develops more opportunities for applicants to control the timing at which their applications are examined. The new dashboard, which will be updated monthly, will also be used internally by the USPTO to analyze and improve its examination process and to track the effectiveness of its improvement efforts. The USPTO also plans to add relevant data to track progress in other areas such as Trademarks and worksharing with global IP offices. 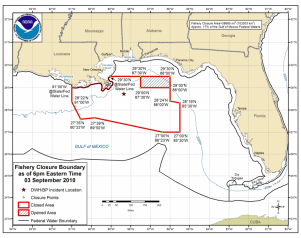 Today NOAA reopened 3,114 square miles of Gulf waters offshore of the western Florida panhandle to commercial and recreational fishing. The reopening was announced after consultation with FDA and under a re-opening protocol agreed to by NOAA, the FDA, and the Gulf states. 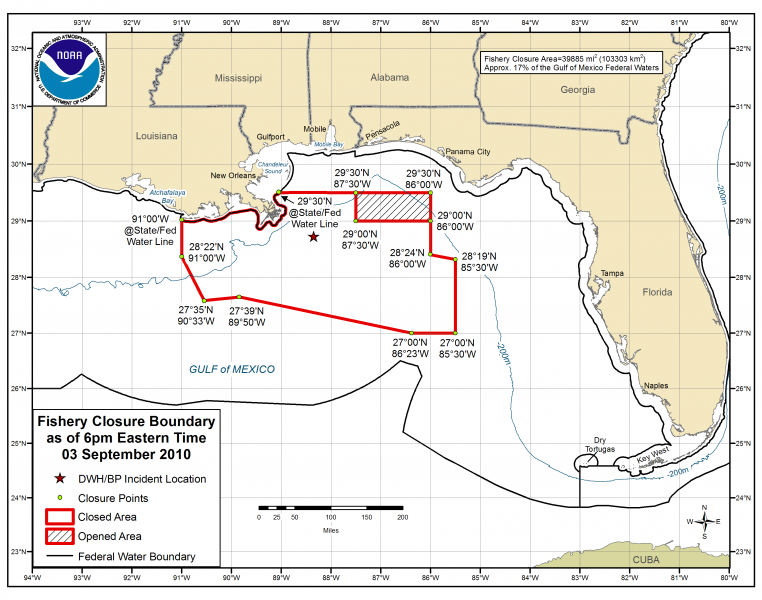 Trajectory models show the area is at a low risk for future exposure to oil, and fish caught in the area and tested by NOAA experts have shown no signs of contamination. Secretary Gary Locke today hosted the first meeting of the National Advisory Council on Innovation and Entrepreneurship at the Commerce Department. 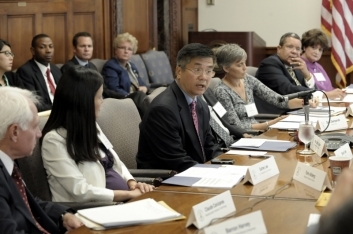 The Council advises Locke and the administration on key innovation and entrepreneurship issues and supports President Obama's innovation strategy by helping to develop policies that foster entrepreneurship and identify new ways to take great ideas from the lab to the marketplace to drive economic growth and job creation. 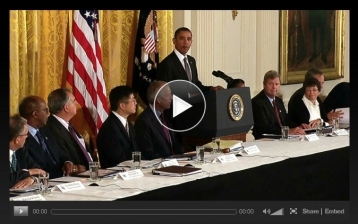 To share ideas on how to spark innovation and entrepreneurship in the U.S. and hear from Steve Case, co-chair of the National Advisory Council on Innovation and Entrepreneurship, on the topic and the council’s first meeting, click here. Secretary Gary Locke today announced the opening of a permanent CommerceConnect office in Pontiac, Mich., during his visit to ALTe, a southeastern Michigan technology company that offers electric and hybrid propulsion system alternatives for the vehicle transportation industry and is experiencing substantial growth through innovation in the alternative energy industry. Locke spoke with local businesses about the new office and the Commerce Department’s collaboration with state and local partners to continue the one-stop initiative he first unveiled in June 2009 that brings department and other federal, state and local programs under one roof in an effort to help businesses at every point of their life cycle. U.S. Rep. Gary Peters joined Locke for the announcement. Locke also announced an official partnership between the department and Michigan-based non-profit The MORE Program, bringing state and local government, business organizations, educational institutions and private foundations together to connect innovators, entrepreneurs, and businesses with the resources needed to grow and flourish. Locke opened the CommerceConnect pilot office in Plymouth last October. Since opening its doors, the pilot has served over 90 companies, providing 199 referrals to 10 different Commerce bureaus and an additional 111 referrals to 13 other Federal, state, local and non-profit partners throughout the region.